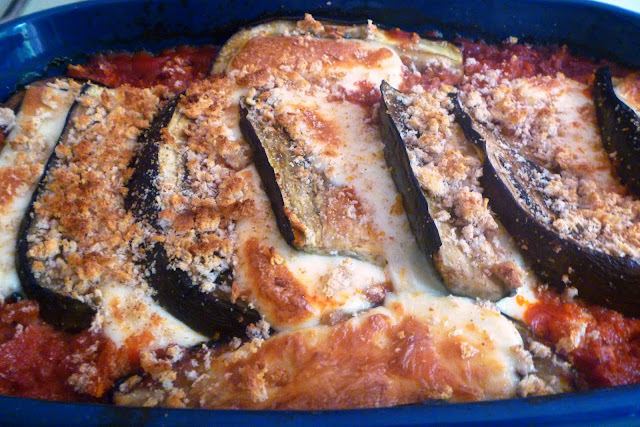 My love of Italian food continues today with an Aubergine and Mozzarella bake based on the dish "Petto di pollo alla parmigiana" featured in The Italian Diet recipe book by Gino D'acampo. Both girls both fell asleep just before tea - a miracle!, so I had the luxury of spending a bit longer than usual preparing this tasty recipe. The flavours in this dish blend together so well, and are a real taste of Italy. 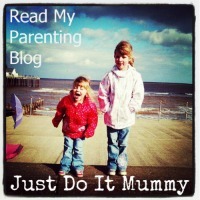 Preheat the oven to 180 degrees/gas mark 4 and the grill to hot. Boil the kettle and pour the water into a large saucepan once boiled. 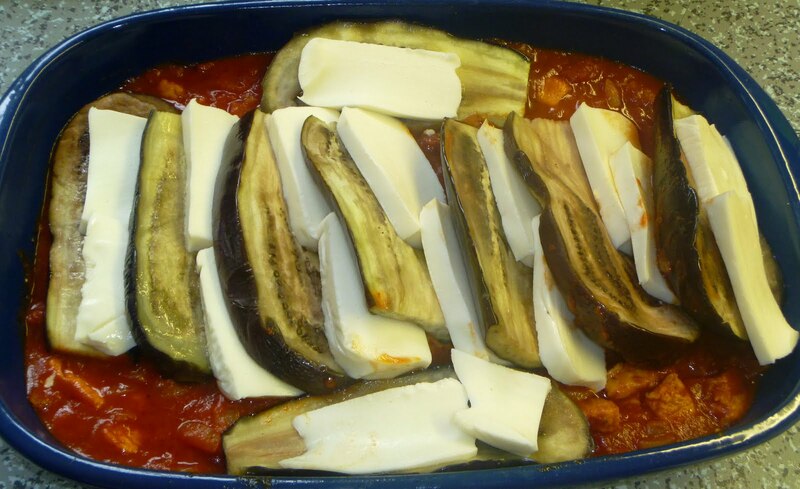 Cook the aubergines in the boiling water for 2 minutes and then drain. Allow to cool slightly, then pat dry with kitchen towel and place on a baking tray. Brush with a little oil and cook under a hot grill for two minutes on each side until browned. Fry the vegetarian chicken pieces in heated oil for about 5 minutes until browned and then drain. Heat some oil in a saucepan and fry the onion for about five minutes, stirring occasionally. Add the tomatoes, passata, oregano and salt and pepper and cook for five more minutes, still stirring. Pour the chicken pieces into the pan and stir for a couple more minutes. Spoon the mixture into a shallow oven proof dish. Layer the slices of Aubergine and Mozzarella alternately over the mixture and sprinkle the breadcrumbs over the top. Cook uncovered in the middle of the oven for 35 minutes until golden brown. Serve immediately. This sounds lovely. 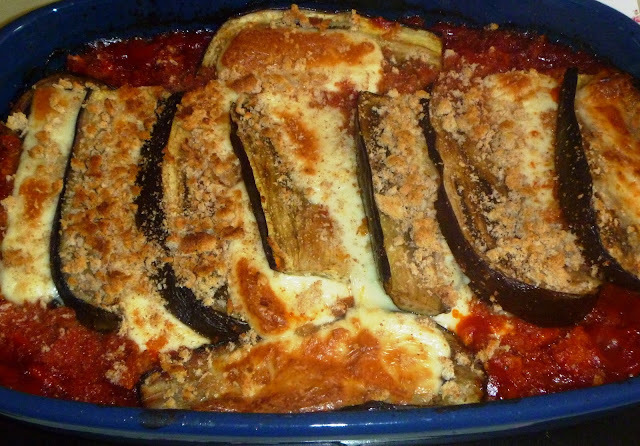 I'm really into aubergine at the moment. Also I nearly always have half a packet of Quorn chicken pieces left over after doing fajitas so this would be a good one to try for using them up! Inspired by the cooking blog of my wife I made a website for calculating calories and nutrients of recipes. Based on 6 servings, your lovely recipe comes up to 428 calories. (http://caloriesinformation.com/recipes/aubergine-and-mozzarella-bake). Feel free to use the service for any recipe you want.